A new documentary profiles eight chicken farmers held under the thumb of unfair industry practices, even as the industry awaits the fate of the GIPSA rules. The plight of chicken farmers has been well documented in recent years in books, investigative reports, and even an HBO exposé by John Oliver. Now, recent encouraging signs of progress have been frozen with the start of the Trump administration. 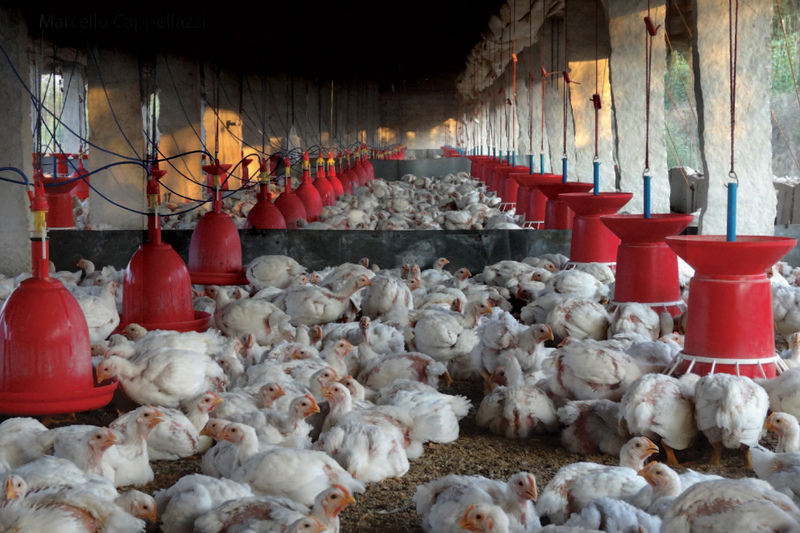 A newly-released film from farmers advocacy organization Rural Advancement Foundation International (RAFI), “Under Contract: Farmers and the Fine Print,” documents the financially ruinous structure of American chicken farming. Ruinous for farmers, that is, some of whom have likened the powerlessness of their position within the $90 billion industry to sharecropping. “Under Contract” premiered shortly before the Farmer Fair Practices Rules, meant to create a fairer playing field for the farmers, were originally set to kick in. The new administration postponed implementation of those rules, presumably through April 2017, creating “a strange sort of purgatory,” according to Patty Lovera, assistant director of Food & Water Watch, which is part of a broad coalition that’s worked alongside RAFI to push the rules through. This roadblock is just the latest in a series of uphill battles that have plagued chicken farmers for generations. 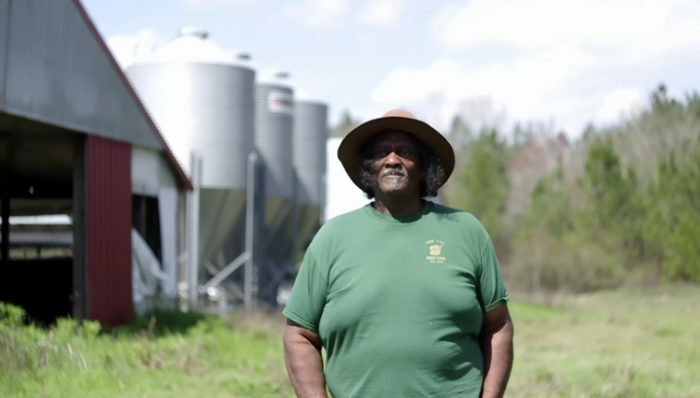 “Under Contract” documents the struggles of eight heavily indebted and desperate chicken farmers in West Virginia, Mississippi and other states in the rural Southeast who have contracted with Big Chicken over the past three decades, with disastrous results. RAFI has been working with farmers such as these since the 1980s, including a number who have tried to transition out of the industry, but the history of these challenges goes back a lot further. The National Farmers Union (NFU), for example, has been trying to improve fair market access for farmers pretty much ever since its founding in 1902. The 1921 Packers and Stockyards Act addressed just that, as did an anti-trust consent decree signed by meatpackers around that same time. The decree was challenged in the 1970s, undone in 1981, and for chicken farmers and their advocates, the familiar quest for fairness picked up again. Arguably, though, nothing has changed the farmers’ fortunes for the worse more than contract farming. Chicken companies began adopting the model in the 1960s; today, 97 percent of the 160 million chickens a week that we eat in this country are produced this way. In contract farming, a chicken company owns flocks of breeding chickens, hatcheries, feed mills, and processing plants—what John Oliver, in a scathing 2015 segment for “Last Week Tonight” called “everything that makes money.” The farmer must build chicken houses as well as supply any upgrades the company deems necessary; the company sends the farmer chicks to be raised, along with feed, medicine, and “technical advisors” who oversee production. About a month later, the farmer returns the full-grown chickens and the process begins again. On paper, it seems like a good deal. Farmers expect to make a decent income, plus enough cash to pay off the loans on the chicken houses and later upgrades; by some estimates, the initial loans average around $800,000, but they are often a lot higher. The contract model has succeeded both in driving down the price of chicken for American consumers and also yielding vast profits for Big Chicken. But contract farmers find that they have no power, are pitted against each other in a “tournament system” bid for wages, and have no recourse when things don’t go well. If they complain, some farmers claim, companies punish them by delaying new shipments of birds, or by delivering sickly chicks, or in some cases, by canceling a contract. This has led to bankruptcy, the loss of family farms and, according to “Under Contract,” even instances of suicide among the men and women who raise chickens. Some of the farmers in the film have taken their chances with the courts. Their attempts at recourse have proven fruitless, however, because current judicial interpretation of the rules requires a farmer to show that conditions are not just deleterious to him, but to all chicken farmers. In desperation, a few of them have begun to speak out despite fear of being ostracized in their communities, or of retaliation from the companies. The film’s profiled farmers represent a small window of hope that opened up nearly a decade ago. Momentum for reform within the industry had begun to build during the Obama administration. Feeding on that, RAFI, Food & Water Watch, NFU, and other organizations, along with chicken farmers themselves, rallied at a series of public hearings that were held across the country. While there is cautious optimism all around, the organizations involved seem to be drawing their collective breath, getting ready to begin the oh-so-familiar quest for fairness … again. For the farmers facing mounting debt and the loss of their homes and farms, the logical next steps are considerably less concrete. Chicken farm photo courtesy of Marcello Cappellazzi.